For many Summerlin and North Las Vegas businesses, commercial vans are an important asset. The right configuration can facilitate day-to-day operations with ample features and just the right amount of space and strength. To ensure you make the right choice for your business needs, we’ve compared the 2019 Mercedes-Benz Sprinter vs. Ford Transit. Look below to see what the new Mercedes-Benz Sprinter offers that the Ford Transit doesn’t! 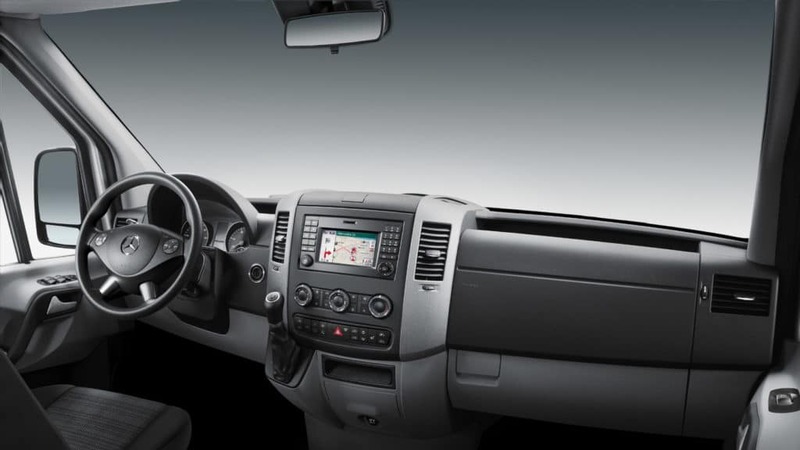 ATTENTION ASSIST®: The Sprinter comes standard with ATTENTION ASSIST®, a feature that monitors driving behavior and sends the driver an alert when drowsiness is detected. This feature is not available on the Transit. Interior Standing Height: While the regular wheelbase, low-roof Transit Van’s cargo height measures in at 56.9 inches, the interior of the 144-inch wheelbase, standard-roof Sprinter Cargo Van is more accommodating at 67.7 inches. Rearview Camera: Both the Transit and the Sprinter come standard with a rearview camera, giving a clearer view of surroundings and making reversing less of a hassle. Cargo Area: In the Transit lineup, the max cargo volume — 542.2 cubic feet — belongs to the long extended-wheelbase, high-roof Transit Van with its front-passenger seat removed. The extended-wheelbase (170 inches), high-roof Sprinter Cargo Van brags a massive 532.6-cubic-foot cargo area and still seats up to three passengers. Payload: The Transit 350HD (147.6-inch wheelbase and high-roof) wows with its max payload capacity of 4,640 pounds. 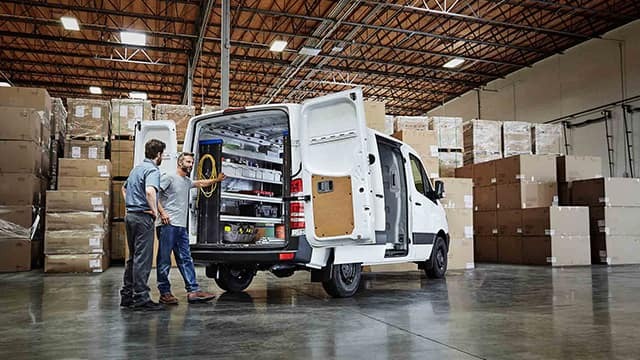 Still, the Sprinter Cargo Van with a 170-inch wheelbase, high roof, 11,030-pound GVWR outdoes the Transit with a max payload capacity of 6,206 pounds. Towing: Depending on the configuration, the Ford Transit can tow up to 7,500 pounds. The Sprinter Cab Chassis matches the Transit Van’s max towing capabilities. Find the Right Mercedes-Benz Sprinter for Your Paradise Business! When it comes to the 2019 Ford Transit vs. Mercedes-Benz Sprinter, it’s easy to see that the Sprinter is not only more convenient, it’s also stronger and more spacious. For assistance with choosing the right Sprinter for your Pahrump business, contact Fletcher Jones Imports in Las Vegas!